Potato dumplings is a traditional type of Italian pasta, best known for its rich texture and dumpling like shape. Gnocchi is a staple Italian meal, with origins dating back to the Roman times. 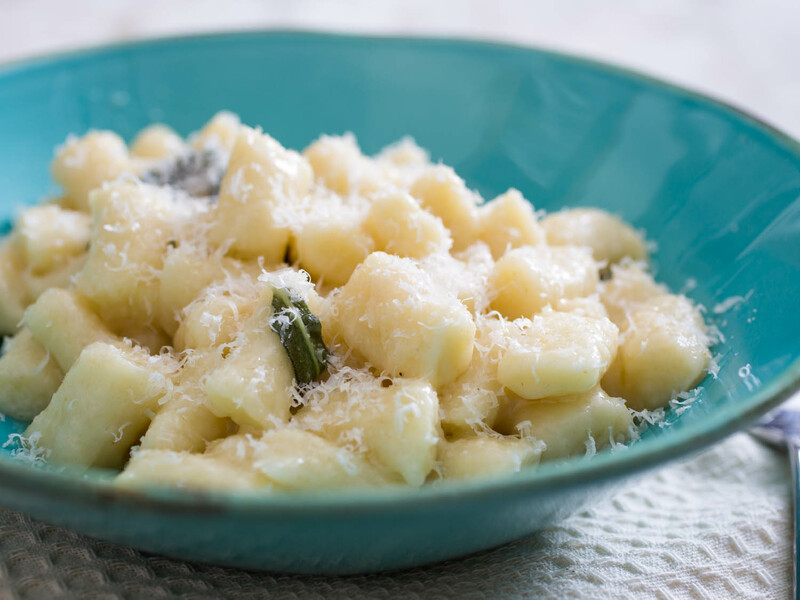 The gnocchi recipe we are sharing with you today is light and tender, tossed in a sage butter sauce guaranteed to tantalize your taste buds. As any chef knows, home making dough is delicate art, which is why the Tecnogas NEXT TOP 48" TriFuel range is the perfect complement to this pasta recipe. While you are cooking your homemade potato dumplings, you will be preparing the sage butter sauce simultaneously. With the fastest time-to-boil performance, boiling the water for your dumplings is easy with the induction zones on the TriFuel range. On the other side of your range, the two gas-burners made up of one power burner and one medium-burner will ensure you have precise control over your delicate butter sauce. Gone are the days of burned butter and gummy pasta! Enjoy this pasta mid-course-like we do in Italy-or serve it as a main course for four. Whatever way you enjoy it, you and your guests are sure to love its tender texture and delicate sauce. Click here to see the full recipe on seriouseats.com. If you would like more information on the Tecnogas NEXT TOP 48" TriFuel range, please visit our Dealers page here.